change up the flavors here, in the pastry cream and in your choice of fruit topping. 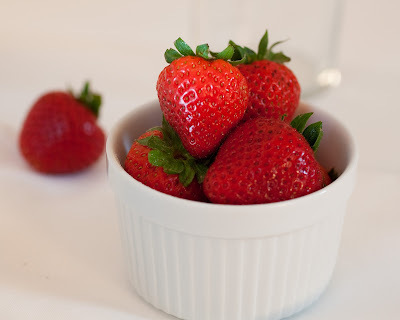 For the pastry cream, you can even substitute a fruit puree for 1 cup of the milk in the recipe, and top with an appropriate berry or fruit mate. A peach or plum pastry cream topped with thin slices of the fruit would be lovely, for example. If you do decide to use a fruit puree, reduce the lemon zest to 1 teaspoon. 1. In a medium saucepan, bring the milk to a boil over medium heat. Remove from heat. 2. In a medium bowl, whisk together the sugar and egg yolks until pale. Sift the cornstarch into the mixture and whisk to combine. Whisk about ¼ of the milk into the yolk mixture, then whisk the yolk mixture into the pan with the remaining milk. 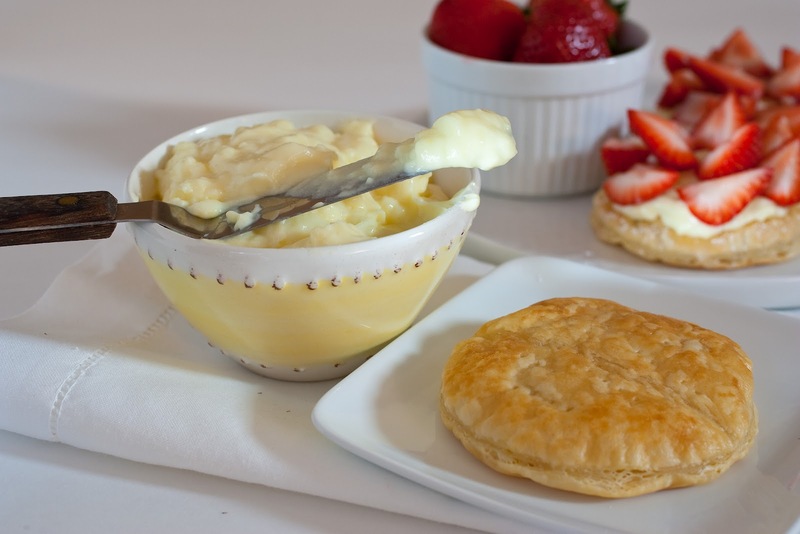 Cook over medium-high heat, whisking constantly, until the custard thickens and boils. Remove the pan from the heat and whisk in the lemon zest and butter until the butter is completely melted. Scrape the pastry cream into a stainless steel bowl and set the bowl in an ice bath and stir frequently until cold. Cover the surface of the pastry cream with plastic wrap to prevent a skin from forming and refrigerate until ready to use. 3. Preheat the oven to 400°F. 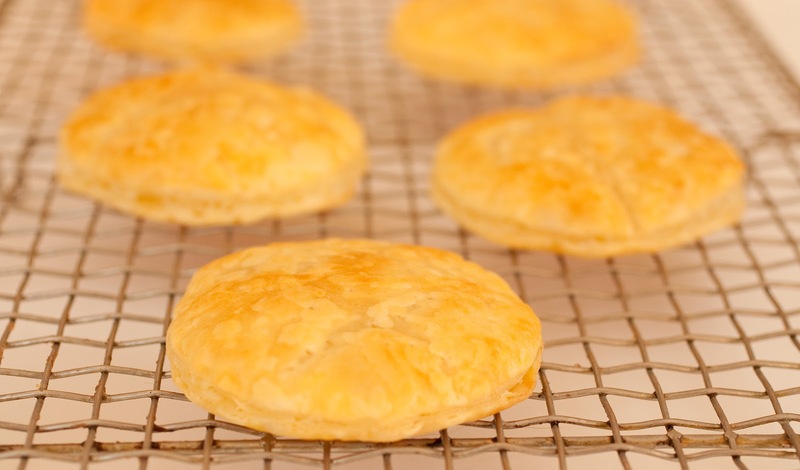 Roll the puff pastry out to a thickness of 1/8 inch and, using a 3 1/2-inch round pastry cutter, cut out 8 rounds from the dough. Prick the rounds well with a fork and arrange them on a baking sheet that is lined with a silicone baking mat. Top the rounds with another silicone mat and another baking sheet and bake for 12 minutes. 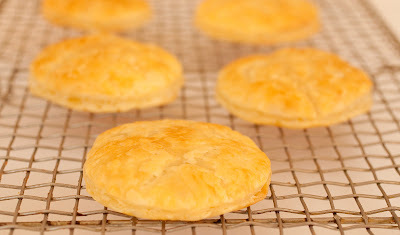 Remove the baking sheet and silicone mat and bake for another 10 to 12 minutes, until the rounds are golden brown. Cool. 4. 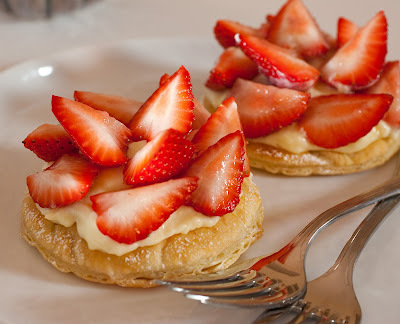 Spread a layer of filling on top of each puff pastry round (don’t use too much pastry cream, as it tends to escape over the edge of the pastry), leaving a ½ inch border around the edge. 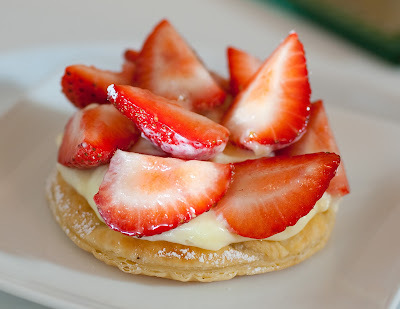 Top the filling with strawberry quarters, covering it completely. Dust generously with confectioners’ sugar before serving.